Legendary game call maker Primos Hunting has renewed their support for the Sportsmen’s Alliance at the President’s Club level – a move symbolizing the company’s continued commitment to protecting the rights of sportsmen everywhere. “The future of hunting requires stewardship, both in recruiting new hunters but also in protecting that pastime that deepens the connections families and friends have with the outdoors and their food sources, from uninformed and unfair attacks. 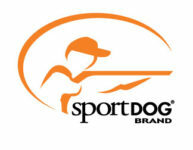 That is why we support Sportsmen’s Alliance,” said Primos Brand Manager Eric Hughes. Few outdoor companies have as rich of a history as Primos Hunting, which was founded by Will Primos in 1976 when he started selling turkey calls made from tin beer cans. Today, the company – which proudly employs a passionate group of hunters – manufactures more than 620 products used by sportsmen. Primos’ support allows the Sportsmen’s Alliance to continue to address anti-hunting legislation in all 50 states, fight court battles (such as the Great Lakes wolf case, Greater Yellowstone grizzly bear delisting and protecting the right of Alaska to manage game) and protect states from ballot-box attacks, while also promoting issues afflicting the outdoor community, such as communicating with non-hunters and hunter recruitment.